The Maruti Alto has hit the taxi circuit. Maruti Suzuki has begun selling the Alto as a taxi in specific markets, and the car with the taxi badge is called the Alto Tour H1. 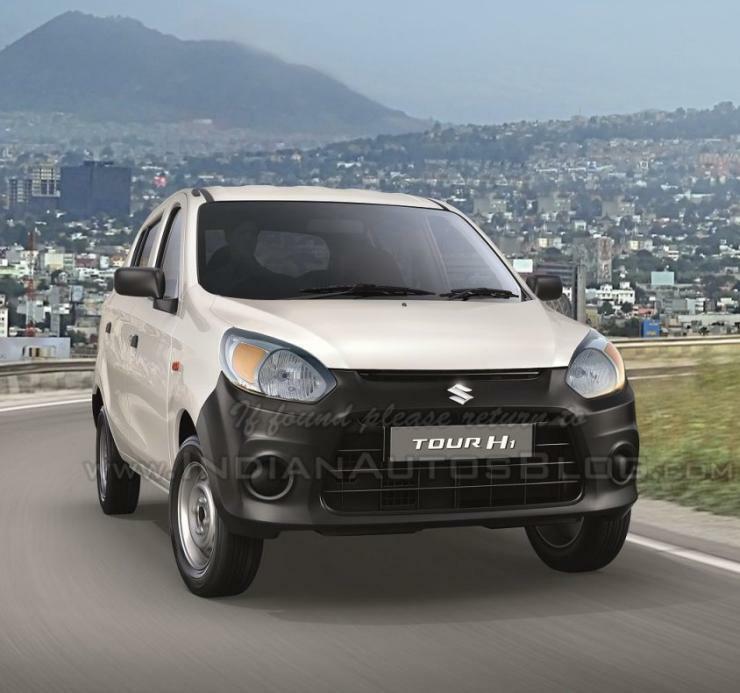 The Maruti Alto Tour H1 will be petrol-powered and will use the same 800-cc, 3-cylinder engine that is offered to private car buyers. This engine is known for its bomb-proof reliability and high fuel efficiency. It produces 47 Bhp of peak power and 62 Nm of peak torque. A five-speed manual gearbox is standard with this engine, which drives the front wheels of the car. The Alto’s low kerb weight of 720 kilograms means that this engine has ample performance for everyday use in the city. Meant to be a city car, the Alto Tour H1 also gets a driver’s airbag as an option. Its speed is limited to 80 Kmph, which is a government regulation for all taxis sold in India. The Alto Tour H1 gets power steering and air conditioning as standard. The front windows have power assist. There are disc brakes on the front wheels, while the rear wheels get drum brakes. The Alto rides on 12-inch tyres, which get tubeless tyres as standard. Seating for five adults is offered, and the Alto can also be fitted with a luggage carrier on top. Notably, Maruti also sells a CNG version of the Alto 800 to private car buyers in specific markets of India. In terms of visual differences, the Alto Tour H1 gets Tour badging on the hatch lid, and features black bumpers. It’s available in a single colour: White. Essentially, the whole paint scheme of the car screams ‘taxi’, just like the other Tour variants of popular Maruti cars. 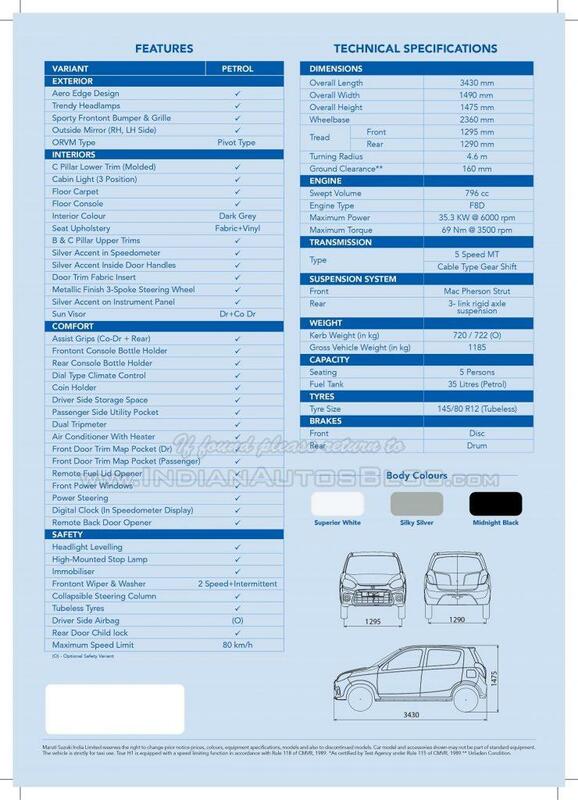 Meanwhile, private car buyers have an additional engine option on the Alto, in the form of the K10 model. The Alto K10 gets a 1-litre, 67 Bhp petrol engine, which also gets a 5-speed AMT option. For now, Maruti is not offering the K-Series motor on the taxi-badged Tour variants. It could change in the future though. « NGT to Volkswagen: Why haven’t you recalled all Dieselgate affected cars in India?